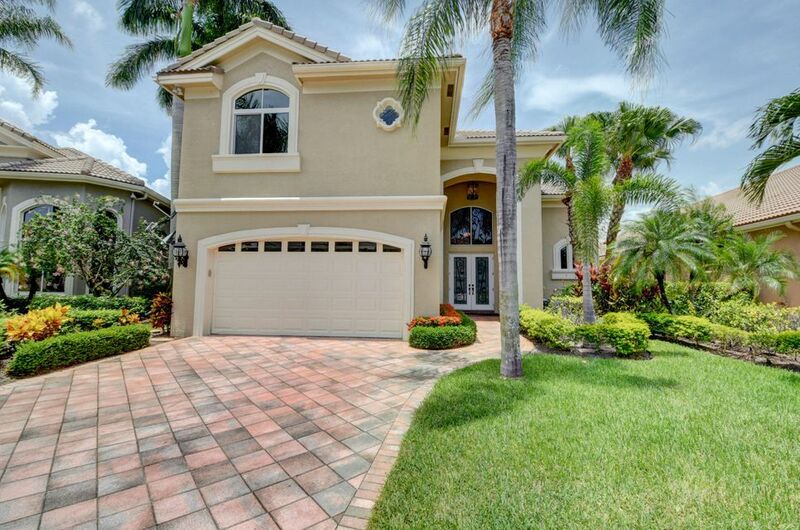 Bay Creek is located with prestigious Woodfield Country Club in Boca Raton. There is, of course, no place quite like Boca Raton, Florida. Boca has been celebrated throughout the civilized world as one of the rare, unabashedly exclusive preserves for those of taste and means. A place of enduring charm and exquisite elegance. Of broad boulevards perfectly lined with palms and quaint parks. Of winding paths and splashing fountains. Of bougainvillea spilling over courtyard walls beyond ornate wrought iron gates. Of boutiques and brasseries, sophisticated shops and cosmopolitan lifestyle. Of beaches abound in a world all in its own class. Nestled within Boca Raton is Woodfield Country Club®. The 830-acre gated site with 20 individual neighborhoods was designed so that each community has its own identity, separated from its neighbor by sparkling lakes and the meandering holes of the Joe Lee originally designed championship golf course, which was redesigned by Robert Cupp in 2002. Visit us to see for yourself why so many families come home to Woodfield. With an average age of 49, Woodfield is proud to be a haven for families and Baby Boomers who value living in a family friendly community. Our 20 communities offer a variety of housing nestled within a welcoming environment. If you are looking for a diversified Club that embraces families and offers a contemporary social scene, then Woodfield is the place for you. The upfront personality of our 18-hole championship course will test you and keep you coming back for more! Originally designed by Joe Lee and entirely redesigned by Bob Cupp in 2002, the course offers golfers a true championship test – while maintaining complete playability for the entire membership. The dynamic layout features rolling terrain, manicured fairways and smaller greens. With an overall yardage of 7,000 yards from the Championship Tee and a spectacular water feature to negotiate on the approach to the final hole, the course will provide lasting memories for players of all levels. Woodfield Country Club® has been recognized by the Tennis Industry as the Private Club of the Year for its programming, and by the United States Tennis Association (USTA) as the Private Facility of the Year for its amenities. The Woodfield Tennis Facilities are second-to-none with a 9,200 square foot full service Tennis Pro Shop. Our 7 rock-pipe, 12 Har-Tru and 1 Decoturf makes this 20 court complex one of the most versatile. Woodfield also offers high quality night play with 18 lit courts. The Club is also the chosen site for the yearly East Coast Swing Men's Singles Championship and the Florida Adult NTRP State Championships. From the moment you enter the spa, stress melts away as you’re gently embraced by soothing fragrances. Slip on a soft robe, and sip on warm tea or fruit-infused water while savoring fresh fruit in the spa lounge before your treatment. Choose the relaxation therapies of your choice, and let us indulge you. Our luxurious spa services include: organic facials, microdermabrasion, body scrubs, spray tanning, aromatherapy, mud wraps in our wet room and a variety of massage techniques. Our professional staff is dedicated to making you look and feel your best. We offer a variety of salon services within a warm, welcoming atmosphere. Let us pamper you with specialized manicures, luxurious 60 minute pedicures with foot massage, "express" pedicures for those on the go, eyelash extensions, teeth whitening and custom makeup applications. Hair services include cuts, coloring and styling for men, women and children. All of our technicians are highly trained, board certified and ready to serve you!